Talk to the Paw! 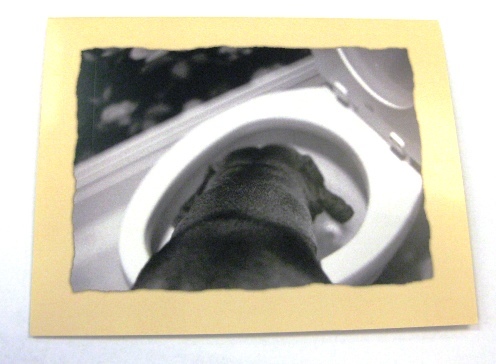 Greeting Card: OUTSIDE: Picture of dog drinking out of toilet. 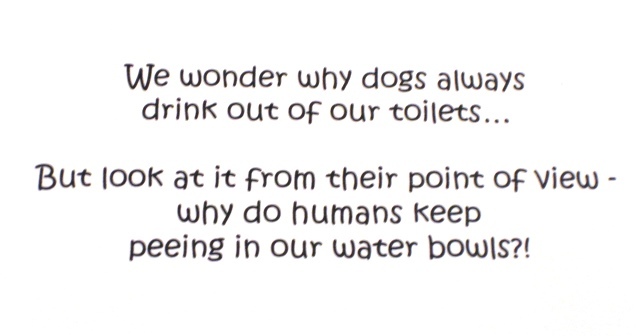 INSIDE: "We wonder why dogs always drink out of our toilets...but look at it from their point of view - why do humans keep peeing in our water bowls?"